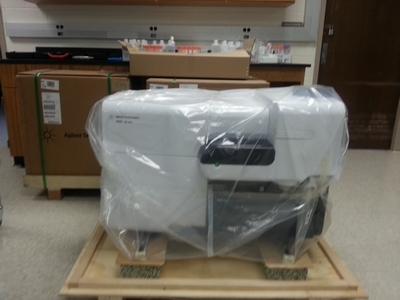 The Lateast Model of MP-AES from Agilent, the MP-4200 is delivered on May 20, 2014. Dr. Wayne Collins, the global energy manager from Agilent Technologies will vist the lab on May 29, 2014. Dr. Joe Curiale, Petroleum Geochemist, Chevron will visit the lab on May 27, 2014. Dr. Ketan Ghaghada, Professor of Radiology at Texas Children's Hospital and at Baylor College of Medicine send a new batch of mice tissues to test Gd, P and Tm with ICP-OES on May 22, 2014. This state of art Microwave Plasma AES is delivered on May 20 and is going to be installed on May 27, 2014. 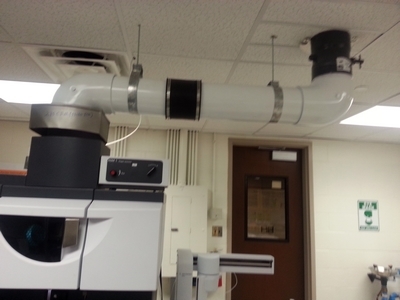 A 6" PVC venting pipe was installed for the Agilent 725-ICP-OES. This will keep the instrument runing cool and stable. A collabrarion research with Drs. 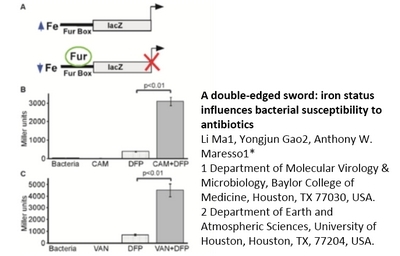 Li Ma and Anthony Maresso from Baylor College of Medicine has yielded a profund discover for the design of next-generation antibiotics to treat multi-drug resistant pathogen caused infections.